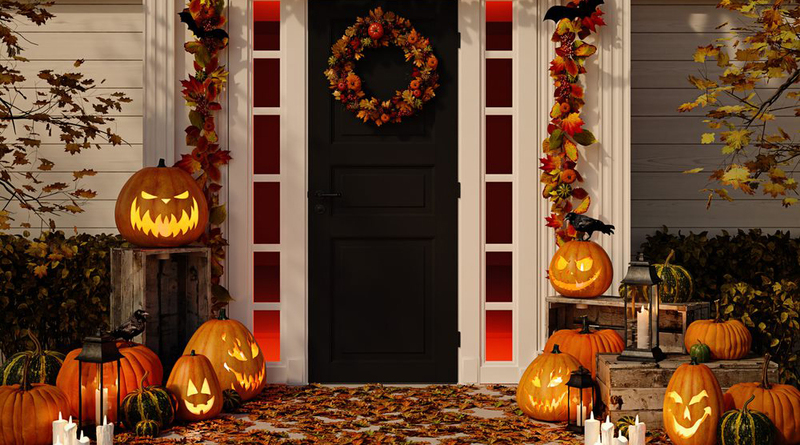 It’s October, and with Halloween lurking around the corner, it’s the perfect time to check if you’ve been accidentally scaring off your buyers when selling your property. To get the best price for your home, you want to make it as welcoming as possible to generate interest and encourage buyers to make a bid early on to help drive up the price. However, if for some reason, they’re afraid to take that step, you run the risk of missing out on someone who may be willing to pay more. Here are 5 things that can spook your potential buyers, which can lower competition and ultimately affect your final result. When you are inviting people into your home for an inspection, the last thing you want is to make them feel uncomfortable. Before your agent brings people around, clean everything from top to bottom! This includes tackling weeds in the garden, leaves blown in from a ghostly wind, and any smudges or dirt left behind by miscellaneous creatures. You may also want to declutter your belongings (including any skeletons in the closet!) to give a greater sense of space. Overall, when presenting your home, it’s important to strike a balance between being overly personal and a blank canvass, so more people will visualise themselves living there. Stick to warm, neutral tones for living areas and, where possible, minimise personal items on show. Buyers are not impressed by tarnished doorknobs, disco-era light fixtures or old ceiling fans. They also can be a little put off by rusted taps, broken glass and cracked surfaces. Nothing makes their breath catch in their throat more than the knowledge they will have to see to all of this neglect after they make a purchase. To create a good impression which puts them at ease, spend some time preparing your home and attending to all of those minor ‘fix it’ jobs you’ve been putting off. No one likes to be forced, especially when it comes to purchasing something as significant as property. While you want to encourage your agent to head into the market and gauge the interest of potential buyers, an agent who harasses people can actually be counter-productive. You want to work with someone who is friendly and engaging, who will create healthy relationships with people and negotiate well on your behalf to get you the result you deserve. The last few years of a very heated Australian property market saw some very high prices being achieved across the country. Unfortunately, the market has cooled somewhat, but the memory is too fresh in some people’s minds. This has led to a bit of a nightmare situation, where sellers can be tempted to price their home too high and then wonder why their buyers are spooked and run away! When this happens, the property can experience an extended period of sitting stale on the market, and this prolonged time can make more buyers avoid it as they worry something is wrong. It’s a great idea to research the market thoroughly, speak to your agent to get their advice, and find a suitable price that buyers will be accepting of. There is also a more transparent way to let the market drive the price, but we will discuss this below. Your home is one thing, but the method in which you sell is quite another. Generally, agents will suggest selling either at auction or via private treaty/sale, but these have their limitations. Unfortunately, auctions can be a fear-inducing process for many buyers due to the public pressure which can dissuade some from participating. Additionally, some of the strict terms and conditions can exclude some buyers, which ultimately reduces competition and the best change of realising a great price. Private treaties/sales are equally as scary because this method keeps buyers under a cloak of shadows as the negotiation process happens. With no deadline, no clarity on price and the natural distrust from buyers, it’s no surprise why this method goes hand-in-hand with uncertainty. So, how do we clear the cobwebs and welcome buyers by making them feel more at ease? You take away the unknown and provide more transparency for both them and you. Just the thought of dealing with even one of the above 5 points is enough to scare some buyers away. However, a buyer’s greatest fear is missing out on the property they love, and they often miss out because the price is either inflated or completely unknown. Introducing transparency encourages more participation in the selling of your home, and with more buyers comes a greater competition which drives the price up. How do you introduce this level of transparency? Through a revolutionary new process called Openn Negotiation. Simple, secure and transparent, when you sell your property by Openn Negotiation, it means you've got the best chance of finding the best price in the shortest time frame. Designed to encourage fair buyer competition, you and your agent will be able to see competing bids and watch the process occur in real time towards true market value, which is the best result. In normal sales processes, overpricing can scare potential buyers off. With Openn, buyers can start from a lower price – well below their best – and compete from there. Meaning there is less hesitation to get involved. By showing everyone's bids, all buyers know what price they need to beat. Under transparent competition buyers will always pay more because they have proof of competing with other real buyers. To find out more about Openn, or to connect with a local Openn agent today, click here. Happy Halloween, and may the trick or treaters be the only ones getting scared this year!